The Sixth Annual Quilt Show will be held from 8:30 AM to 12:30 PM on Tuesday, January 24, 2017, in Friendship Hall. Admission will be $2 and there will be free cookies. Lunch will also be available. All proceeds go to “Quilting for the Needy” projects. The Show features modern and antique quilt displays, quilted art, items for the home and quilted accessories. In addition, there will be door prizes, vendors, a craft boutique, and a Second Hand Rose Booth. 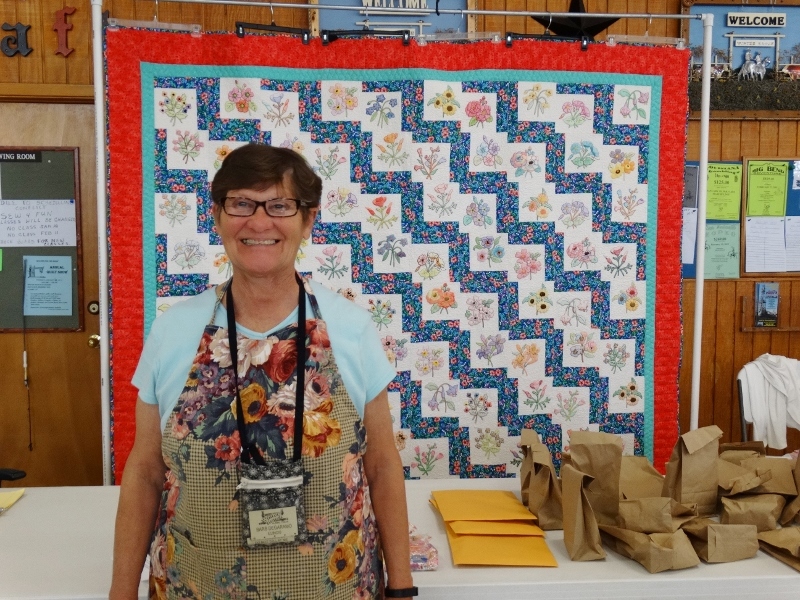 Last season we had visiting quilters’ groups from Trophy Gardens, Tropic Star, Alamo Rec Veh Park, the Alamo Country Club, and a large group from Pharr South, among others. Linda Petersen and Brenda Granger are the Chair and Co-Chair for this event. Bring up your projects and display them proudly. We need anything made from fabrics such as purses, scarves, napkins, place mats, etc. Announcements will be made at the Wednesday meetings as to when you can register your items. Proceeds go to the Quilting for the Needy projects. Last years projects donated 363 quilts throughout the area for various groups: Easter Seals, McAllen Hospital Neo Natal Unit, 1st Responders, Fire Department, ARISE, the Bario and Sacred Heart Church Refugee Project.